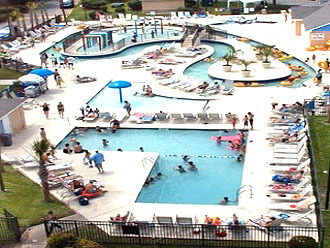 The family friendly Myrtle Beach Resort has long been a favorite vacation destination. Near Surfside Beach, the gated condo community sits on more than thirty acres of unspoiled land near the beach, in one of the finest locations in South Myrtle Beach. 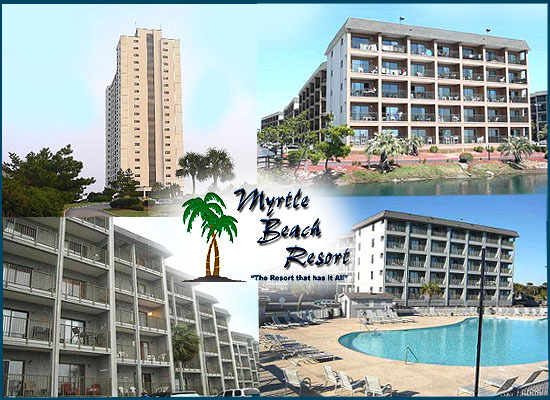 Just minutes from downtown Myrtle Beach, great restaurants, and the attractions of the Grand Strand, the resort is not troubled by summer traffic congestion as some condo complexes are. This community is the definition of luxury, offering 3 oceanfront towers of lavish condos with gated security. Residents are pampered by a variety of incredible amenities. Water fun starts with the 375-foot lazy river. Choose to lounge in one of the 2 indoor pools or one of the 4 outdoor, oceanfront pools. Start your day with an invigorating workout in the fitness room or end a busy day relaxing in the saunas and steam rooms. 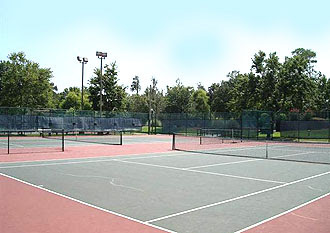 Lighted tennis courts allow you to play at night and you can practice your swing on the putting green. The kids’ playground features a number of sports courts and the grilling area is perfect for a cookout with friends and family. There is an onsite convenience store for anything you might have forgotten while shopping, as well as a small deli, a bar, and a poolside snack bar. Condos are available in studios, 1-2 bedroom ocean view units, and 1-2 bedroom oceanfront floor plans. Budget friendly prices start in the low $60’s to around $200K. Let us show you that a luxury vacation condo doesn’t have to break the bank. Visit our website for more information. Call one of our real estate professionals today and schedule a private tour of the Myrtle Beach Resort condos for sale!